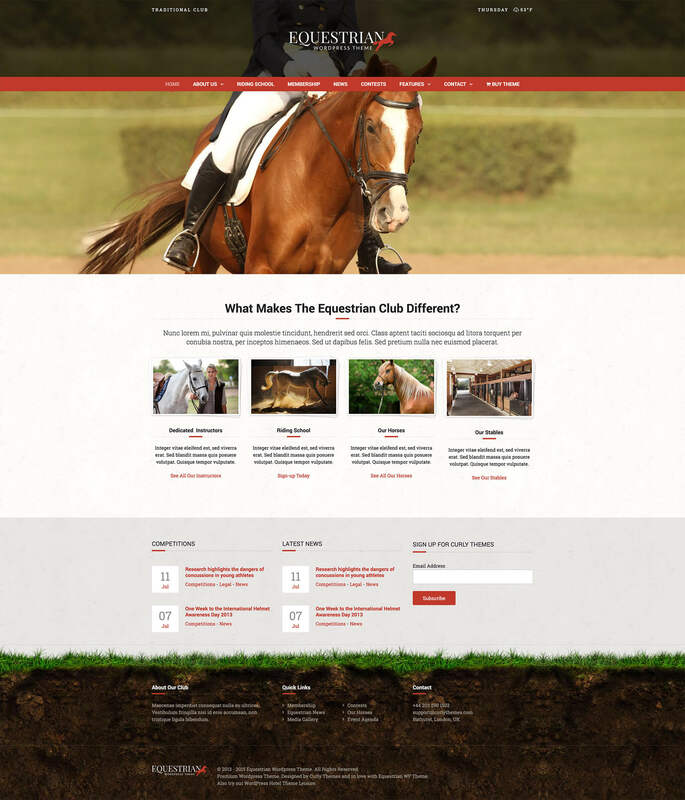 The most popular WP theme for horses, Equestrian WordPress Theme is our first premium product, tailored for riding stables, associations and other similar businesses. If you work with such a noble animal, your website needs to match it with an exquisite design. We tried bringing this feel with our theme and, judging by Equestrian’s success, we succeeded. The first thing your visitors should see is a large image of a majestic horse. For this reason, Equestrian offers two premium slider plugins and a lot of flexibility in the header area. From your logo position, to taglines or overlay patterns, you can tailor everything to get that elegant design you need. Equestrian is suited for a vintage look, but it can accommodate a modern style just as well. Theme Demo $59 Buy Now!